Is your dishwasher playing up? Or your washing machine has stopped working? Then, why not let the certified technicians at Handyman London Please check things out for you and do the repairs on site? 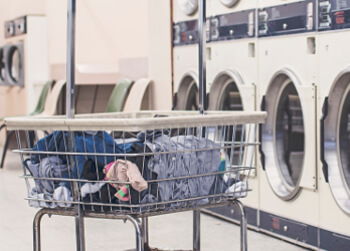 Whether you require a cooker repair service or you need a tumble dryer maintenance job completed as soon as, we can help you out in no time at all! Our London-based company counts on fully qualified and experienced appliance repair specialists who will investigate the problem with your device and will strive to fix it in a matter of hours.The engineers are fully insured and certified to execute our services. They can handle the maintenance and repair of a wide range of commercial and domestic appliances of any model and brand. On the day of your appointment, the pro will arrive at your address, bringing all the equipment and tools that he may need to fix your device. The technician will also have various small spare parts at hand that he can use, in order to complete the appliance repair job. After a full diagnostic assessment of the technical problem has been performed, the specialist will inform you on whether he can proceed with the task on that day or whether he will need to order a replacement part first. How Long Will The Repair Service Take? Most home appliance fixup jobs do not take longer than a couple of hours. However, if the engineer has to order additionally a replacement part to complete your service, the standard delivery time for the spare part to arrive is from 3 to 5 working days. Upon request, we can organise an express delivery (taking up to 2 working days) at an additional cost of £15. What Is Our Service Availability? We endeavour to provide our appliance repair services on a day that suits you most, including weekends or outside weekday business hours. Also, the technician can be booked at short notice so that he arrives at your doorstep as early as the following day, subject to availability. 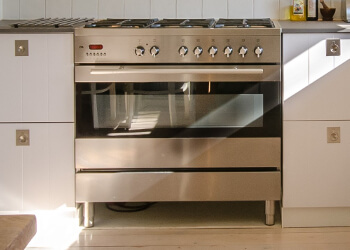 To schedule your next-day appointment, whether you require a hob repair service or you need your inbuilt oven fixed, just call us or complete the request-a-quote form on this website. You can always drop us a line via the live chat option, too. Q: Is this an hourly-based service? A: No. We charge fixed rates, which include the full diagnostics of your malfunctioning device and VAT. Q: Does the repair come with a guarantee? A: Yes. 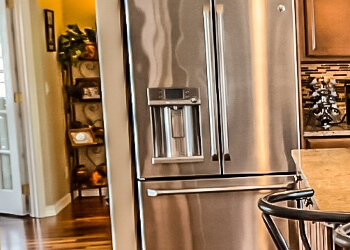 We offer a 1-year guarantee on all our appliance repair services. A: If you wish to cancel your appointment, you’ll need to notify us at least 24 hours in advance to avoid being charged a cancellation fee. Q: Do you have any other charges I need to know about? A: We charge £15 extra for fixing MIELE appliances. In addition, if you are located in W1, WC1 or WC2, we apply a £20 surcharge. Spare parts are not included in the price, either.